Most of us don’t trust anything that seems a bit too perfect. In the age of social media and the way we consume information, the more real something is, the more we tend to trust it. And the challenge for a lot of leaders and entrepreneurs is when we attach our self-worth to whatever we are delivering, trying to be real becomes even more challenging. I was recently working with a government department and one of the senior executive leaders introduced me when I was presenting. They shared their personal journey of experiencing mental health challenges of suffering depression. I was pleasantly surprised to hear how it was common knowledge in their workplace. In fact, when I asked a number of people who were there, they said that it was well known what she had experienced. Everyone I spoke to said that they felt she was more real and therefore able to connect to the challenges they were experiencing in their own jobs. They felt inspired and confident in her not only as a leader but as a female leader. They felt respected and didn’t feel as ashamed to speak up if they were going through a tough time. They felt empowered in being able to know that there is value and worth in their own wellbeing as well as the confidence in their ability to do the job. Being able to show a side of you that may not be strong in a world where we’re trying to be powerful, resilient and lead change seems counterintuitive. But when we have a greater sense of vulnerability, we allow others to become vulnerable, connected, lighter, open and transparent – therefore creating greater trust. We create a deeper connection rather than just a surface level conversation. Without being vulnerable, we give the power to be able to share openly and we’re not as afraid of doing things wrong. In fact, it breeds innovation, trying and testing things, as opposed to being afraid of change and afraid of something not going right and trying to keep the status quo. I deliver a Business and Leadership program called Women with Influence where we have a laugh about our failures that week, we call it “F’UP Friday.” We not only laugh at ourselves but also share our learnings as part of the failure. My own team uses it and it has created permission to have the conversation that we’re not perfect. We find out about mistakes in a safe way and are able to fix them without the person feeling like they’re incompetent or will get into trouble. If you can be vulnerable it’s a bit like removing an invisible wall that’s between you and your team or you and your audience where the wall is about them thinking that they’re not good enough, or thinking that they’re not smart enough. If you can remove the wall, it means that you’re far more connected as a team and there is much greater trust. As a result, you gain much more traction, much more motivation and therefore transformation. Her Ted Talk alone has attracted over 30 million views and is the top 10 most viewed Ted Talks of all time. She talks about how she’s been able to embrace her own vulnerability and shares stories of people she’s worked with. She talks about her 12 years of research covering areas of courage, worthiness, and shame. 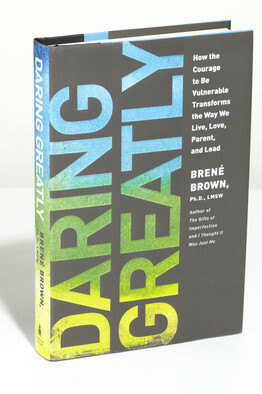 Brown says that the thing that holds us back from being vulnerable is the armour of perfectionism. Perfectionism is, at its core, about trying to earn approval. She says that most perfectionists grew up being praised for achievement and performance through their grades at school, their manners, following rules, pleasing people, how they dress, and they’re resulting sport. And that I get praised if I get a great result. However, perfectionism is directly correlated with depression, anxiety, addiction, paralysis, and missing opportunities. The fear of failing, fear of making mistakes, not meeting people’s expectations, and being criticised leads us to an area where there is unhealthy competition. Perfectionism is not a way to avoid being vulnerable or avoiding feeling ashamed. Brown says perfectionism is a form of shame. When we struggle with perfectionism, we’re actually really struggling with shame. She says that vulnerability is not knowing victory or defeat – it’s understanding the necessity of both. It’s engaging, it’s being all in. As leaders, it pays to remember that when we’re trying to lead change, we are leading people through times when they’re experiencing fear, they’re feeling anxious, stressed, and when they’re feeling like something’s maybe out of their control. So, we have to be all in and the only way we can do that is to be vulnerable. To be able to share our fullest selves and show that we are fully committed. By being vulnerable we can have a deeper and authentic connection where everyone feels a sense of safety. We will have stronger credibility and greater empathy for the experiences that our clients and our teams are going through. 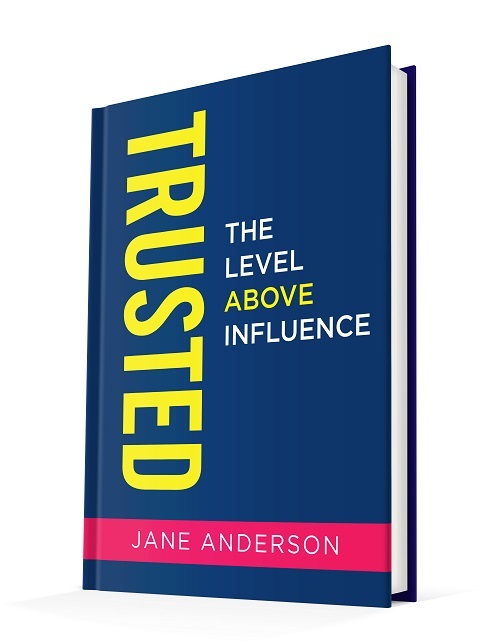 Jane Anderson is a communication expert, speaker and the author of 6 books including the upcoming “TRUSTED: The Level Above Influence.” With over 20 years experience helping people step into their personal power, she is obsessed about creating human connection to drive business growth in a world of disruption and automation. To inquire about her working with you or your organisation please contact us here.